My first novel has just become the first self-published book ever to be shortlisted for the Betty Trask Prize. This is an annual award presented to the best first novel by an author under the age of 35. I’m thrilled, of course, and I’m very proud to be the first self-published author on that shortlist. It’s pretty amazing to have the quality of my work affirmed in such an unarguable manner. But I can’t help wondering… if history had been different, might there have been a route into conventional publishing, a route that wasn’t closed off to me and my book? What would have things been like, if it hadn’t been for Section 28? Section 28 of the 1988 Local Government Act is notorious in British LGBT history. It stated that a local authority “shall not intentionally promote homosexuality or publish material with the intention of promoting homosexuality” or “promote the teaching in any maintained school of the acceptability of homosexuality as a pretended family relationship”. It came into effect in 1988, three years before I started primary school, and was repealed in 2003, just as I’d begun my first year at university. The whole of my school career, therefore, was overshadowed by this silence. I can only imagine what my life would have been like if I’d heard the word ‘bisexual’ before I turned eighteen. Because Section 28 was assumed to apply to the school library as much as it did to biology or citizenship classes, it stunted a whole branch of LGBT teen literature. If a library (a public library or a school library – both would fall under the Local Government Act) couldn’t be expected to buy a book, then a publisher couldn’t be expected to publish it. As a result, the long, honourable tradition in the United States of America stretching from Nancy Garden to David Levithan and beyond, just doesn’t exist in British publishing. Jacqueline Wilson, who’s tackled issues from adoption to eating disorders, homelessness to mental illness, doesn’t address homosexuality in any sort of depth until 2007. 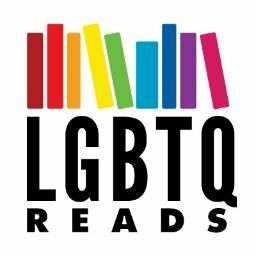 The one book with any sort of LGBT theme that I can remember getting into my school library was Dare, Truth or Promise – by New Zealand author Paula Boock. The only Nancy Garden was, ironically enough, The Year They Burned The Books. That meant that, when I wrote Speak Its Name, nobody knew quite what to do with it. Even though Section 28 had been gone for the best part of a decade, the genre that my novel would have slotted into had never recovered. So I published it myself. And, while my shortlisting shows that this was absolutely the right decision and I don’t regret it for a second, I can’t help but be a little bit wistful. Not for my book, but for all the other books, the ones that never made it to print because “nobody would publish them'” because “nobody would buy them'” because of Section 28. The ones that my fifteen-year-old self would have loved to read.